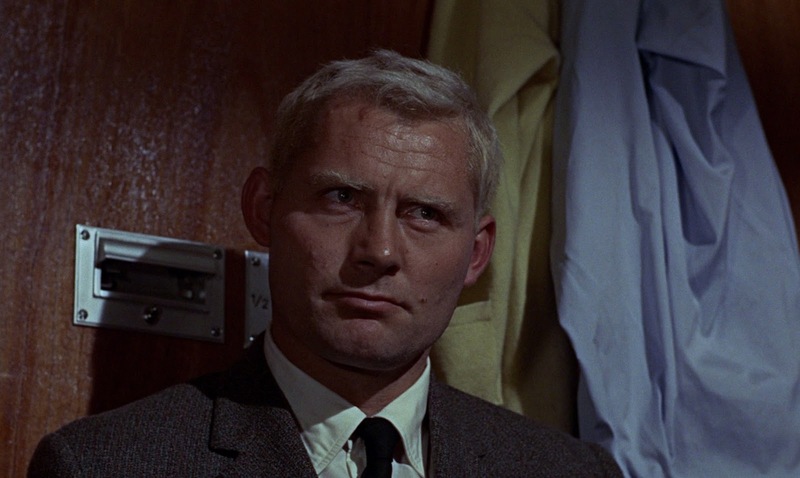 Robert Shaw Festival Part 4"From Russia With Love"
I’m quite excited to write about this film for many reasons. First of all, I am a Bond fan, dyed in the wool, 100%, even enjoying Moonraker. I saw my first 007 film in 1967 or 68. 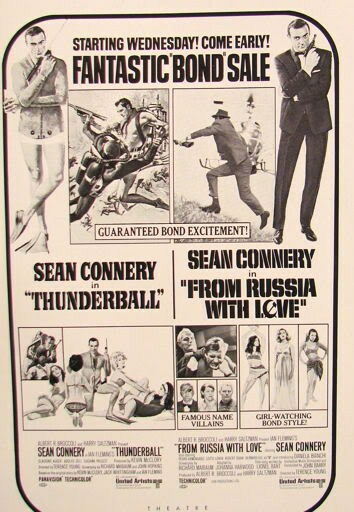 It was a double feature with Thunderball, and my memory tells me I saw it second. I started reading the books then as well. I know we had them in a cupboard in the house we lived in in East L.A., and we moved out of that house in 1969, so I was reading them by age ten or eleven. For most of my life, From Russia with Love has been my favorite Bond film and book. 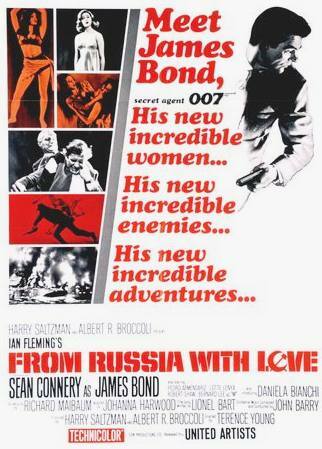 While it is still my favorite of the original Fleming novels, as the years have passed, I grew to appreciate the audacity of the film making in Goldfinger, so From Russia with Love slid down to number 2. Of course that is number two out of twenty-three so still pretty good. One of the major things that this film has going for it is the character of Donald “Red” Grant, played by our featured star this week, Robert Shaw. Shaw was in his mid thirties when he played this role, at the peak of his physical condition, and he had a face of granite, that mirrored the character perfectly. Casting can make a movie work so well sometimes, that it is a wonder to me that it is not Awarded at the Oscars on a regular basis. Whoever made this decision made the movie work twice as well as it would have otherwise. The character dominates the movie from the opening pre-title set up, to the last moment he is on screen. In fact his character dispatches Bond in the first minute and fifty-three seconds of the film. Those of you who know the film know what I am talking about. What is especially impressive of Shaw’s performance, is that he has no lines for the first hour and a half of the movie. In fact, there are really only three scenes that he speaks in. All of which have been set up well by the script and the director, but the anticipation of the confrontation owes a substantial amount to the actor. He refers to himself at one point as Bond’s guardian angel. His character has hovered in the background for most of the film, a grim Spectre , looking over 007’s shoulder and waiting for his chance to strike while denying anyone else the same opportunity. The lack of a smile, the silent stalking and the tough exterior leave us waiting for the confrontation that we know must ultimately come. Shaw plays it cool from the beginning of the film, even though his character is supposed to be a homicidal maniac. He is kept on a tight leash but all the time we can see that he is itching to take Bond down. His eyes narrow to a squint when he first spots Bond at the airport and joins in the spy v. spy game they play in Istanbul. When he breaks the rules of the game by killing a Russian surveillance man,there is only a slight hint of satisfaction on his face as he knows that Bond and his ally Kerim Bey will be blamed. One of the most tense scenes right before he and Bond meet occurs as Grant haunts Bond on the Orient Express. When James gets off the train in Belgrade to contact his local support, Grant is right over his shoulder, still on the train, often seen only as a reflection in the glass, like a true ghost waiting to wreak havoc. He keeps his cool as we see him displace the real agent Nash, the only indicator of the violence is the way he slips on his gloves as he leads the unwitting Nash to the water-closet. Once he makes contact with Bond, Shaw uses his voice and plays the proper Englishman for as long as necessary. The despairingly used phrase “Old Man”, is the one way he can needle Bond before he can give up his cover. Shaw makes it sound condescending but not so deliberately that it would tip Bond off. When confronted red handed for drugging Tania, Grant /Shaw uses the right tone to convey that it is all part of the plan and that Bond can relax. That soothing tone works just long enough for James to drop his guard and then Grant attacks. Once he is in control of the situation, you can begin to see the monster that was there all the time. The cold blooded look returns and it is accompanied by a hostile twinkle in the eye that should be bone chilling. Still Bond toughs it out, all he needs is a chance to even the odds and he will be OK.
Once the fight starts, you know that it is seriously going to do some damage to your psyche. These are not cowboy punches thrown at arms length. There is wrestling, and karate, and blows to the solar plexus, that we know Grant can take from earlier. Bond needs to kick and grab and throw his opponent to have any kind of a chance. Ultimately we see that Shaw’s character has his favorite weapon at hand, a garote that emerges from his watch and he nearly gets Bond around the neck. It is a single hand caught between the garote and his neck that gives James a chance to access his own back up, a throwing knife secreted in the briefcase provided by Q Branch. Bond gets a chance to reverse the noose and suddenly Grant is caught in his own device, learning first hand the destiny he has brought to so many others. So, simply put, Shaw’s performance enhances this film and makes the final confrontation the true climax of the picture. There is a helicopter chase, a boat chase, explosions and poisoned tipped shoes that all come after this, but none of them seem like a real threat because Bond has already taken out the toughest opponent imaginable. I think Tania Romanov was the second most beautiful Bond girl after Solitaire, and I think the briefcase is the second greatest gadget Bond ever got from Q, after the Aston-Martin with ejector seat. So my second favorite Bond has my second favorite gadget and second favorite Bond girl, but it also has the greatest of opponents in Bond’s 22 movies so far. 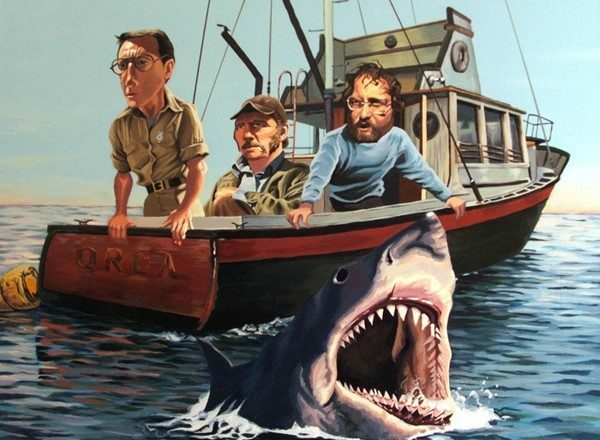 That is why this film deserves to be in the Robert Shaw Film festival.